Move over Dad, we are GRILLING for you today! It is hard to believe we are half way through 2017. . . As the year flies by, we have to stop and thank a family member who is not usually the center of attention in the American family dynamics: DAD. It has only been 45 years (in 1972, President Richard Nixon established a permanent national observance of Father's Day to be held on the third Sunday of June) since we started recognizing “the man of the house” with a holiday of national significance, Father’s Day. The role of the Father in the family culture has changed significantly throughout the years. Today, Dads play many roles in the child rearing job and sometimes parental roles have switched entirely. One role that has changed significantly is: Who’s cooking family meals? Many Dads have assumed more responsibility in the cooking department. Culinary trends show Fathers are no longer responsible for just the occasional backyard grill night over the weekend, but many meals throughout the week! Why not ask Dad to relinquish his role on the grill or in the kitchen and take over his job, adding to the celebration of his special day? Making Dad a savory and hearty Grilled Porterhouse Steak on the grill could be a delicious way to make your father feel their contributions to the family are acknowledged and appreciated. I really miss my father. Even though he really was not much of a griller, but he used to love making me breakfast on Sunday mornings. 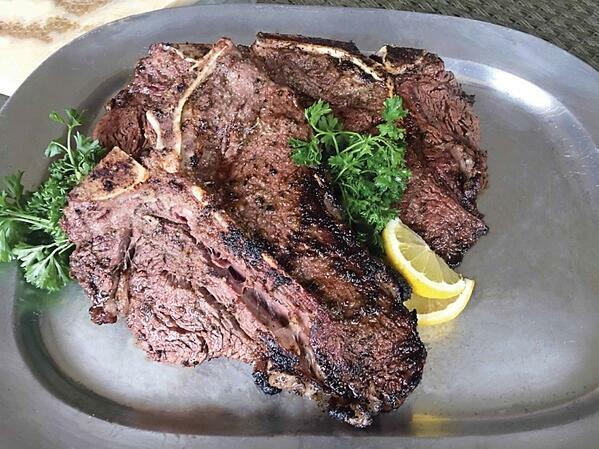 My Mom would make this amazing Grilled Porterhouse Steak Recipe* as a special family treat to celebrate my Father’s special day! I have decided to share one of my favorite grilled steak recipes to help you celebrate the important role your father plays in your life! It’s All About the Rub! In a small bowl, combine all the ingredients using a fork or a small whisk to break up the sugar. Double or triple recipe and store in an airtight container, away from direct heat and light, for no more than 5 months. PRO TIP: When cooking for families with children or older relatives, I usually do not add black pepper to my rubs or recipes. Rub each steak with spice rub, let rest. Steaks don't need much to make them great. Just before grilling, brush each side lightly with olive oil and drizzle with the lemon juice. 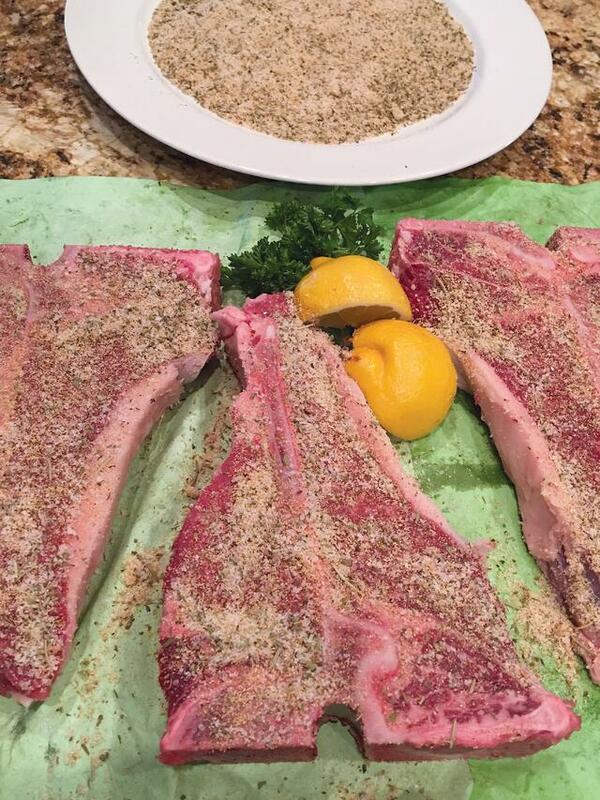 Place Porterhouse steaks on outer edges of your ElectriChef Electric Grill. Grilling time will vary depending on size of actual steak and desired doneness. For medium rare, about 4-5 minutes on each side, with grill lid closed in between turning. You can place grilling steaks on the hottest part of your grill once you turn, but be careful not to let them over char. PRO TIP: Because of the brown sugar in the rub, be careful not to get the steak on the hottest part of the grill. Always test steaks for doneness during cooking process but do not just leave them on the grill. Once a steak is overcooked it is overcooked!! Let the grilled porterhouse steak rest on the cutting board for about 5 minutes before cutting. Create a tent with aluminum foil to keep in heat but do not wrap steaks. This gives the juices time to re-circulate through the meat. Slicing the steak earlier lets the juices run out causing the steak to be dry. Porterhouse Steak*: The porterhouse is a composite steak cut from the point where the tenderloin and loin connect. It is a thicker cut and resembles an oversized T-Bone. If you remove the bone and cut out the two steaks that make up the porterhouse you will get a tenderloin steak and a New York Strip Steak. What's Next? If you liked this recipe check out our chocolate skirt steak that is bound to make your mouth water! Also, don't forget to tell us how your Father's Day went down below!